On summer weekends, I'm usually spending my day at the beach. This Saturday, J had a beach volleyball tournament so we spent the entire day under the sun. Right after, I had a quick nail appt and then we had plans to grab a casual dinner. For me, having a cover up that works beyond the beach is so important. I need something that looks cute while walking on the boardwalk and then can be worn into the nail salon. I always turn to a cute romper as a cover up when I know I have plans to do other things. For this look post-beach, I swapped my beach tote to a more structured bag from Zara & added my favorite denim jacket so the look was more street and less beachy. My slide sandals & sunglasses worked for both the beach & my post-beach errands. 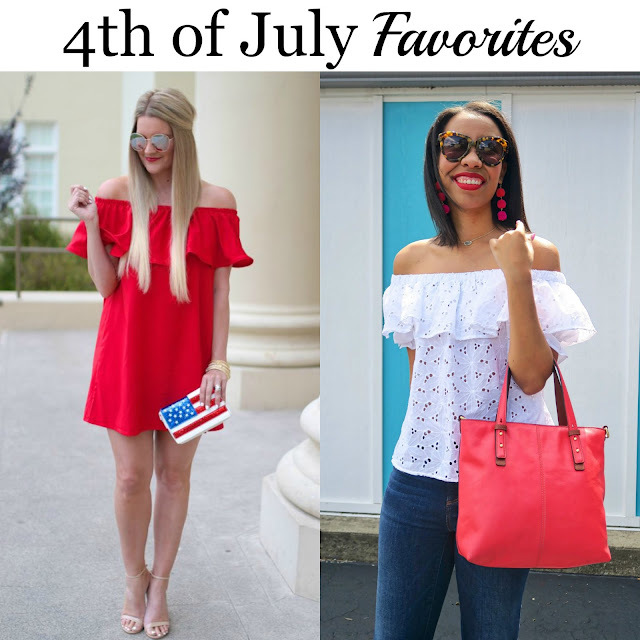 Last week we loved Shauna from Lipgloss & Lace and Nicole from What Nicole Wore's July 4th looks. I love this romper on you Michelle!! Too Cute! Love it styled with the jacket and bag. So cute. I love the romper paired with the denim jacket! I love your post beach look! It is fresh and lovely! Peace! That is such a cute outfit, and it sounds like it was perfect for your day. And all day volleyball tournament sounds like so much fun! Love this look, your romper is the cutest! That is the cutest romper, Michelle! Love it with the denim jacket! This romper is so cute! I love wearing rompers as coverups too, as they look put together. Totally! A sarong is great but I can't wear it anywhere besides the beach :( Rompers are perfect! Love this romper from the Loft! It is perfect for the beach. Thanks for the link up! Rompers are just the ultimate summer piece. Love yours, those colors are so pretty. 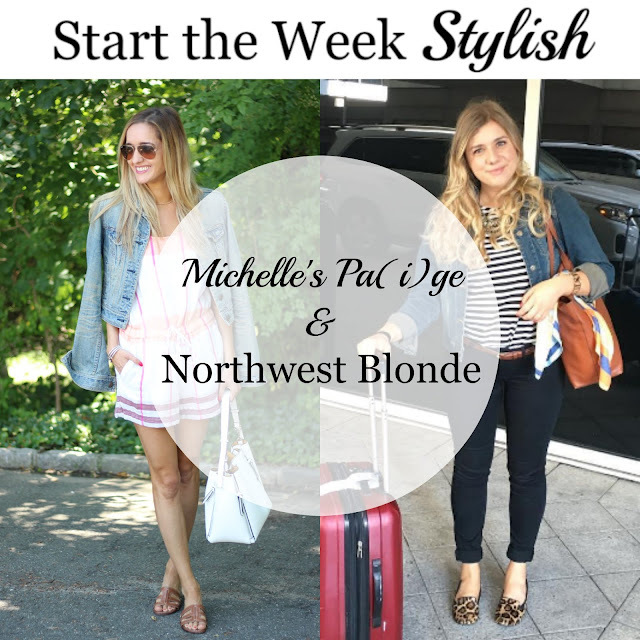 Such a cute & practical beach/post beach look Michelle!! That is a cute romper and I love the colors in it! Love that fun romper on you! Super cute! This romper is gorgeous. You looks so feminine and chic. Thank you for organizing your link up, I joined and follow you on Instagram. Could you please let me know what you mean by linking back on my blog? A romper is such a cute option for a beach cover up. They are so versatile! I love wearing cute jumpers like this all season! This romper looks like a perfect summer piece! Love this romper! Such a great summer look! It's such a great way to get some extra usage out of your favorite summer pieces! Such a pretty romper! Perfect for going from the beach to running errands!